Honey has the meaning of a blessed and sweet ever after and represents life, health and fertility. In both Asian and Western countries, honey is closely related to weddings. An old tale told us that each arrow of love of Cupid was coated with honey. This act brings richness and sweetness of love to its fullest. 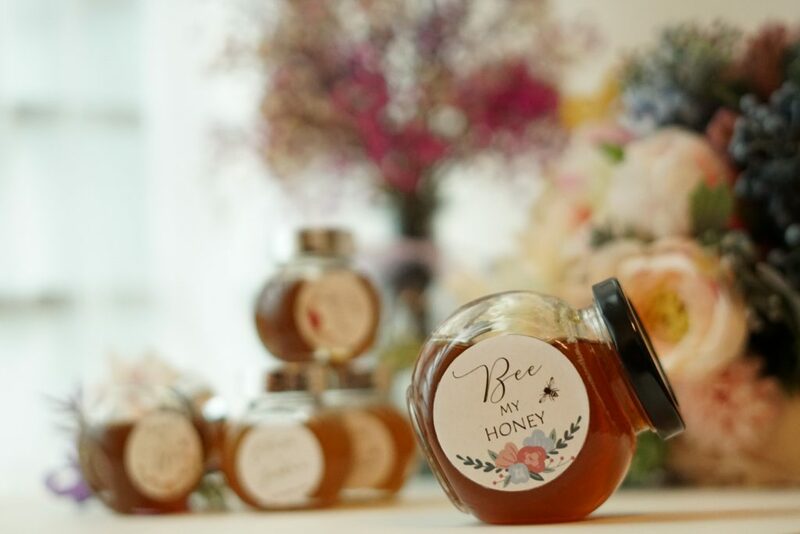 Customize your wedding package and label to create the unique wedding honey to your friends and families. This gives a perfect touch up to your wedding. 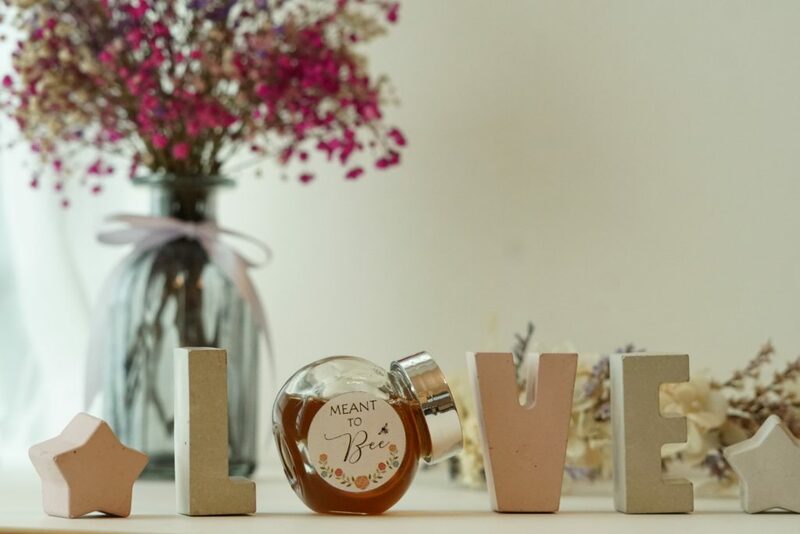 In the wedding ceremony, gift a wedding honey to your guests mean the blessing of a happily ever after.